Saddleworth cheese was doing a roaring trade with his four cheeses: Smelly Apeth, Muldoon’s Picnic, How’s Yer Father and Mouth Almighty. 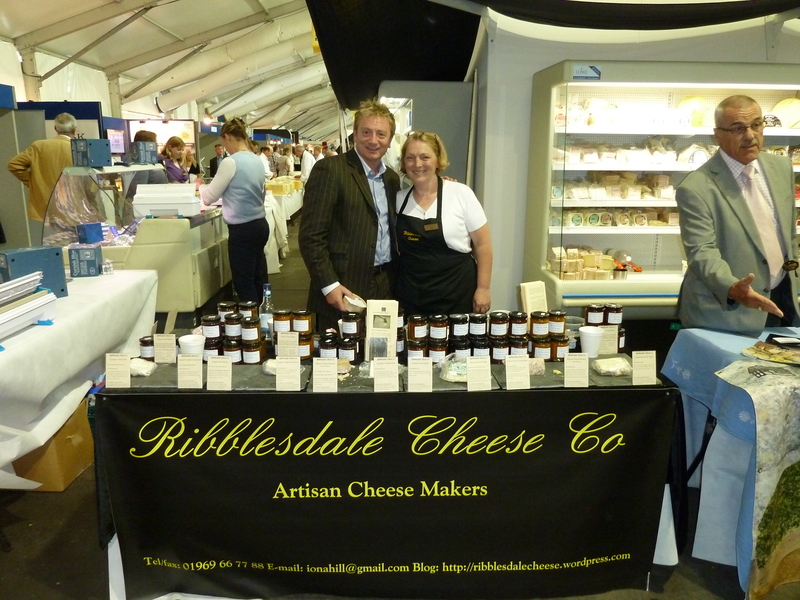 Customers were queuing round the corner to meet him and buy his cheese. 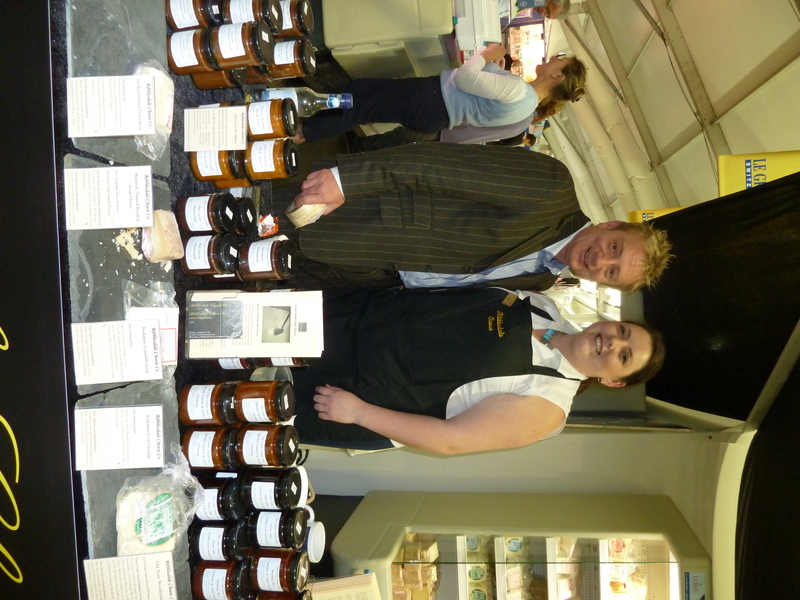 We felt a little sorry for the Cornish Cheese Man as Sean’s prospective customers were scoffing all the Cornish Cheese Man’s samples as they were waiting. Anyway, nice to see Sean again; he came to see us, along with Bob Kitching of Leagram’s Dairy a while back, before he started up, to see another small dairy. And here is the man, with Lydia and I. He confided to us that he was on the verge of a big deal, so good luck to him and hope that it all works out for you.